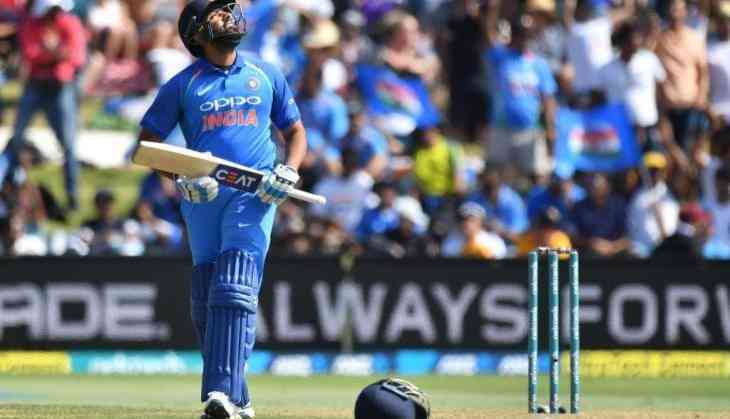 Opening batsman Rohit Sharma on Thursday became the 14th Indian player to play 200 one-day internationals. While admitting that it there has been a lot of ups and downs in his career so far, the 31-year-old said that the "200th game is special". "Yeah, 200th game is special. Lots of ups and downs but I am happy where I am," ESPNcricinfo quoted Sharma as saying. The right-hand batsman is playing as a stand-in skipper in the ongoing fourth ODI against New Zealand, which marks his 200th ODI appearance, as Virat Kohli has been rested for the last two matches. Meanwhile, India have lost the toss and are batting first in the fourth match. Top-order batsman Shubman Gill has been handed over his debut cap in the match by MS Dhoni. Having already pocketed the series 3-0, India have included two newcomers in the team- Gill and Khaleel Ahmed- with the aim of testing the bench strength. "Gill is a very promising talent. He has shown a lot of promise in the past. We are looking to bat first as well. We wanted to get some bases covered before the next series. 3-0 is a great achievement. And we want to finish off really well," Sharma said after the toss. New Zealand- Martin Guptill, Henry Nicholls, Kane Williamson (capt), Ross Taylor, Tom Latham (wk), Jimmy Neesham, Mitchell Santner, Colin de Grandhomme, Todd Astle, Matt Henry, Trent Boult.